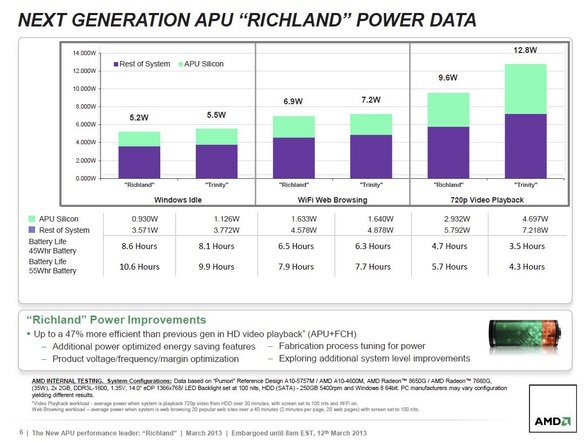 AMD has just announced a new family of Elite A-Series APUs for mobile applications, based on the architecture codenamed “Richland”. 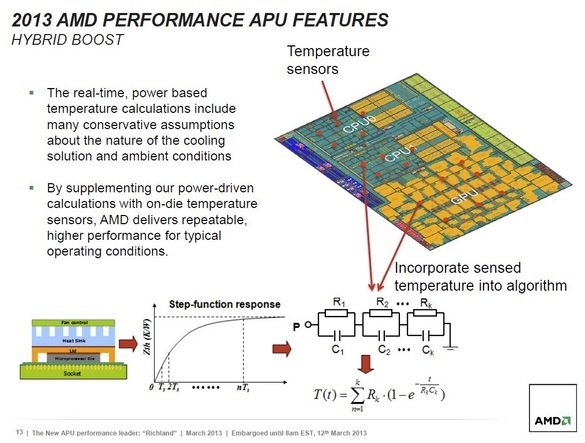 These new APUs build upon the success of last year’s “Trinity” architecture, by improving graphics and compute performance, enhancing power efficiency through the implementation of a new Hybrid Boost mode which leverages on-die thermal sensors, and by offering AMD-optimized applications meant to improve the user experience. AMD is unveiling a new visual identity as well, with updated logos and clearer language, in a bid to enhance the brand. SUNNYVALE, Calif. — Mar. 12, 2013 — AMD (NYSE: AMD) today announced the first availability of the AMD Elite A-Series Accelerated Processing Units (APUs), codenamed “Richland.” The new AMD Elite A-Series APUs deliver innovative user experiences like facial log-in and gesture recognition, improved graphics and compute performance over the previous generation, and enhanced power management capabilities on a single chip. With faster performance and improved power management in the same platform architecture as its predecessor, coupled with AMD Radeon HD 8000 Series graphics, the 2013 AMD Elite A-Series APUs build on the award-winning history of AMD’s original APU line-up to help users get the most out of their notebooks, whether at work, at home or on-the-go. AMD Video Entertainment Features – Make your content look its very best: AMD Steady Video technology gives users push-button control over shaky home video and helps stabilize the images for better viewing; AMD Quick Stream technology7 enables smooth video streaming and a virtually interruption free streaming experience; and AMD Perfect Picture HD8, creates rich and lifelike color on video entertainment. This optimized-for-AMD software will come pre-loaded on select AMD Elite A-Series APU-based notebooks later this year and will be downloadable from www.amd.com next month. Support for AMD Eyefinity technology, AMD Radeon dual graphics, and DirectX 11. AMD continues a power/performance leadership through the latest generation of power management technologies. These boosting and throttling technologies enable more intelligent, higher compute and graphics core performance to help enhance PC responsiveness and extend battery life. Building on the idea of AMD AllDay Power, the 2013 AMD Elite A-Series Platform enables up to 7.9 hours of web browsing, 5.7 hours of HD video playback and up to 10 hours of resting battery life on a 55 watt/hour battery. 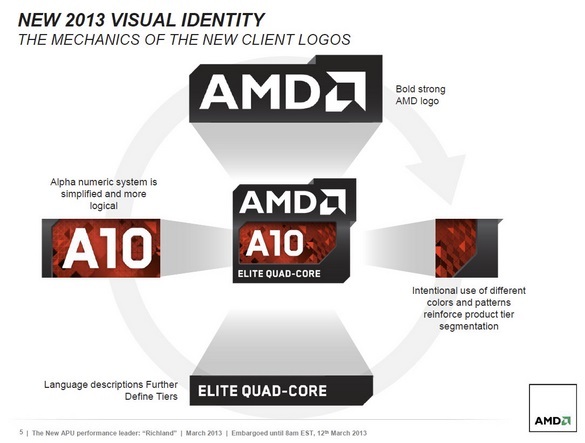 New, low-voltage and desktop variants of AMD Elite A-Series APUs are expected to be announced and available in the first half of 2013.